Scawtite: Mineral information, data and localities. 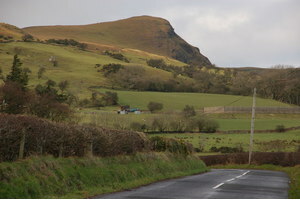 Named by Tilley in 1930 after its discovery locality, Scawt Hill, Larne, Co. Antrim, Northern Ireland, UK. 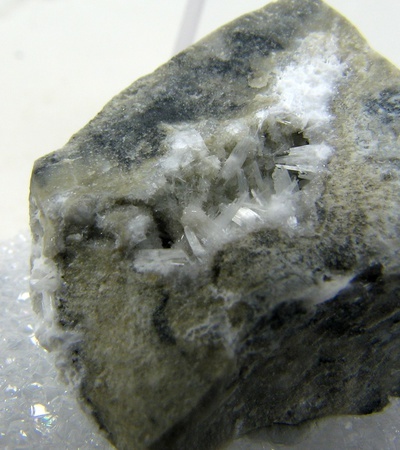 This page provides mineralogical data about Scawtite. Scawt Hill, Larne, Co. Antrim, Northern Ireland, UK Tilley, C.E. and Hey, M.H. (1930) Scawtite, a new mineral from Scawt Hill, Co. Antrim. Mineralogical Magazine, vol. 22, n° 128, 222-224. Contact-metamorphosed limestones and dolostones intruded by diabase. Plombièrite 4 photos of Scawtite associated with Plombièrite on mindat.org. Tobermorite 3 photos of Scawtite associated with Tobermorite on mindat.org. Xonotlite 3 photos of Scawtite associated with Xonotlite on mindat.org. Thaumasite 2 photos of Scawtite associated with Thaumasite on mindat.org. Stringhamite 1 photo of Scawtite associated with Stringhamite on mindat.org. Jennite 1 photo of Scawtite associated with Jennite on mindat.org. Tilley, C.E. and Hey, M.H. (1930) Scawtite, a new mineral from Scawt Hill, Co. Antrim. Mineralogical Magazine: 22: 222-224. Foshag, W.F. (1935) New mineral names. American Mineralogist: 20: 403-404. Murdoch, J. (1955) Scawtite from Crestmore, California. American Mineralogist: 40: 505-509. McConnell, J.D.C. (1955) A chemical, optical, and X-ray study of scawtite from Ballycraigy, Larne, N. Ireland. American Mineralogist: 40: 510-514. Murdoch, J. and McConnell, D. (1958) The crystal chemistry of scawtite. American Mineralogist: 43: 498-502. Harker, R.I. (1965) Scawtite and its synthesis. Mineralogical Magazine: 34(268): 232-236. Pluth, J.J. and Smith, J.V. (1973) The crystal structure of scawtite, Ca7(Si6O8)(CO3)·2H2O. 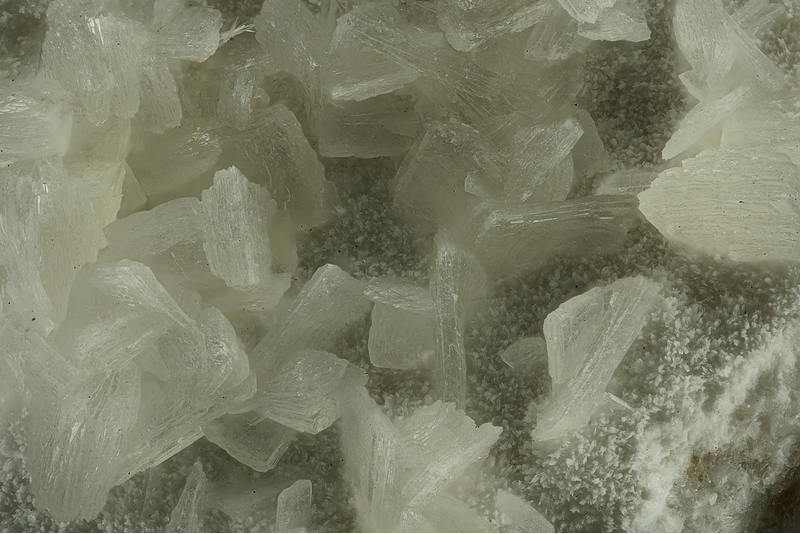 Acta Crystallographica: B29: 73-80. Zhang, L., Fu, P., Yang, H., Yu, K., and Zhou, Z. (1992) Crystal structure of scawtite. Chinese Sci. Bulletin: 37: 930-934. Jambor, J.L. and Grew, E.S. (1974) New mineral names. American Mineralogist: 79: 387-391. Grice, J.D. (2005) The structure of spurrite, tilleyite and scawtite, and relationships to other silicate-carbonate minerals. Canadian Mineralogist: 43: 1489-1500. Chukanov, N. V. (2013). Infrared spectra of mineral species: extended library. Springer Science & Business Media. Newman, Peter V. (1973) Scawtite from Java. 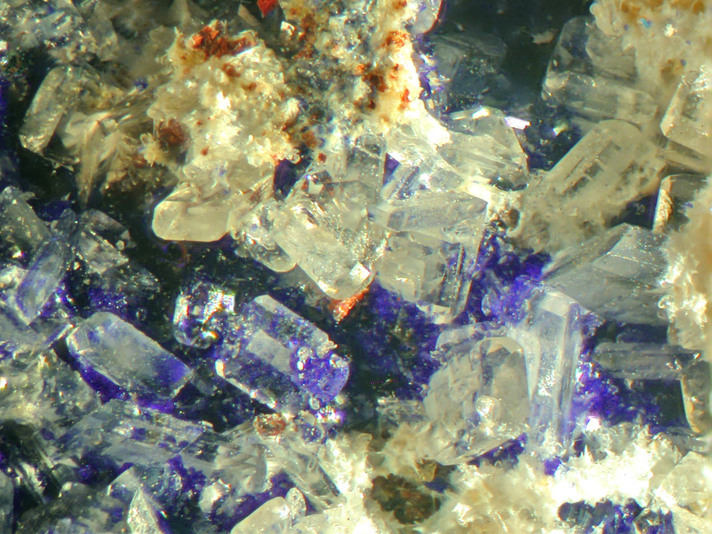 Mineralogical Record, 4, 205. Mattioli, V., Boscardin, M., Rocchetti, I., Zorzi, F. (2014): Scawtite nel giacimento di contatto di Val Munari, Torrente Acquasaliente, Contrade Maglio e Pornaro, Schio (Vicenza). GMT 2014 Giornate Mineralogiche di Tavagnasco, 6-8 giugno 2014. Plinius, 40, 152. Mineralogical Journal Vol. 14 (1989) , No. 7 pp 299-302; Henmi, C., & Kusachi, I. (1992). Clinotobermorite, Ca5Si6 (O, OH) 18· 5H2O, a new mineral from Fuka, Okayama Prefecture, Japan. Mineralogical Magazine, 56(3), 353-358.; KUSACHI, I., & HENMI, C. (1991). Sillenite from Fuka, Okayama prefecture, Japan. Mineralogical Journal, 15(8), 343-348. Mason, B. (1957) Larnite, scawtite, and hydrogrossular from Tokatoka, New Zealand. American Mineralogist 42, 379-392.; Harker, R.I. (1965) Scawtite and its synthesis. Mineralogical Magazine, vol. 34, n° 268, 232-236 (referring to Mason, 1957). McConnell, J.D.C. (1954) The hydrated calcium silicates riversideite, tobermorite and plombierite. Mineralogical Magazine, 30, 293-305.; McConnell, J.D.C. (1955) A Chemical, Optical and X-ray Study of Scawtite from Ballycraigy, Larne, N. Ireland. American Mineralogist, 40(5-6), 510-514.; Murdoch, Joseph (1955) Scawtite from Crestmore, California. American Mineralogist: 40: 505-509 (referring to McConnell, 1954). ; Harker, R.I. (1965) Scawtite and its synthesis. Mineralogical Magazine, vol. 34, n° 268, 232-236 (referring to McConnell, 1954). Tilley, C.E. and Hey, M.H. (1930) Scawtite, a new mineral from Scawt Hill, Co. Antrim. Mineralogical Magazine, vol. 22, n° 128, 222-224.; Murdoch, J. (1955) Scawtite from Crestmore, California. American Mineralogist: 40: 505-509 (referring to scawtite from the type locality (Tilley and Hey, 1930)). ; Harker, R.I. (1965) Scawtite and its synthesis. Mineralogical Magazine, vol. 34, n° 268, 232-236. Anthony, J.W., et al (1995), Mineralogy of Arizona, 3rd.ed. : 362. Murdoch, Joseph (1954) Scawtite and bultfonteinite from Crestmore, California. (abstract): Geological Society of America Bulletin: 65: 1347-1348.; Murdoch, Joseph (1955) Scawtite from Crestmore, California. American Mineralogist: 40: 505-509.; Harker, R.I. (1965) Scawtite and its synthesis. Mineralogical Magazine, vol. 34, n° 268, 232-236 (referring to Murdoch, 1955). ; Pemberton, H. Earl (1983) Minerals of California. Van Nostrand Reinhold Press: 478. Taylor, J.H. (1935) A contact metamorphic zone from the Little Belt Mountains, Montana. American Mineralogist, 20, 120-128.; Murdoch, Joseph (1955) Scawtite from Crestmore, California. American Mineralogist: 40: 505-509 (referring to Taylor, 1935). ; Gobla, M.J. (2012) Montana mineral locality index. Rocks & Minerals, 87, #3, 208-240.